We offer a full range of custom software development services for a wide array of enterprise solutions and verticals. 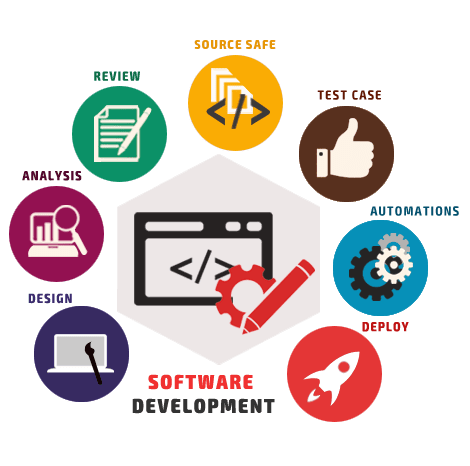 Whether you are starting up a new business or already a well-established name, we would be happy to assist you in your software development life cycle; from conceptualization, business analysis to development and implementation of a complete software solution. Signature Solutions has the experience to deliver cost-effective and reliable custom software solutions that match your specific needs. Signature Soltuions© is an I.T firm, focused on providing the most qualitative, personalized and specialized Information Technology services, ranging from Software Implementation, Web Design and implementation, Hardware Installation Network and Infrastructure, Sound and Visual Engineering, Consultancy. Copyrights © 2018 All Rights Reserved, Powered by Signature-Solutions.